Guadalupe García de Rayos was detained Wednesday after an annual visit with the federal Immigration and Customs Enforcement (ICE) office in Phoenix. The 36-year-old mother of two teenagers was deported Thursday morning after living in the U.S. for 21 years. Activists protested for 15 hours shouting “liberation, not deportation,” going as far as surrounding the deportation van for three hours to keep it from leaving the Arizona immigration center. Rayos, an undocumented immigrant who arrived in the U.S. when she was 14, was expected to go in for a mandatory check-in at ICE offices, which she had been attending since 2008, when she was caught using a fake social security number in order to work. She was charged with a felony conviction for identity theft. Under the Obama administration, Rayos’ non-violent offense was considered low-priority for deportation; however, that’s no longer the case after Donald Trump’s recent executive order on immigration and border security. The order is expected to target 8 million immigrants, and expands controversial surveillance programs tied to racial profiling of the Latino community: Secure Communities, a Department of Homeland Security program that seeks to identify deportable immigrants through sharing of data between local jails and ICE officials; and 287(g) programs, which allow local and state police to act as immigration enforcement officers. Cities that do not follow Trump’s order are threatened with the withdrawal of federal money for critical programs that benefit Latino communities, such as Head Start, public housing and HIV care. Trump’s preoccupation with closing borders to save America from the over-exaggerated threat of ISIS has increasingly hurt the most vulnerable among us: immigrant and refugee communities whose political belonging have come under greater scrutiny with every newly signed executive order. Repeated conflation of immigration with terrorism has had detrimental ramifications for communities far beyond Muslims. 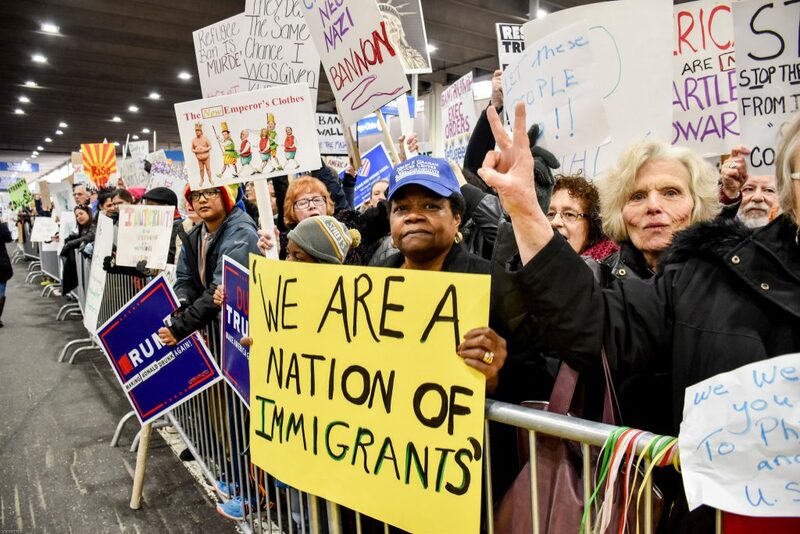 The very tactics designed to fuel Islamophobia have undeniably exacerbated policing and racism against Latinos, especially those who are undocumented. 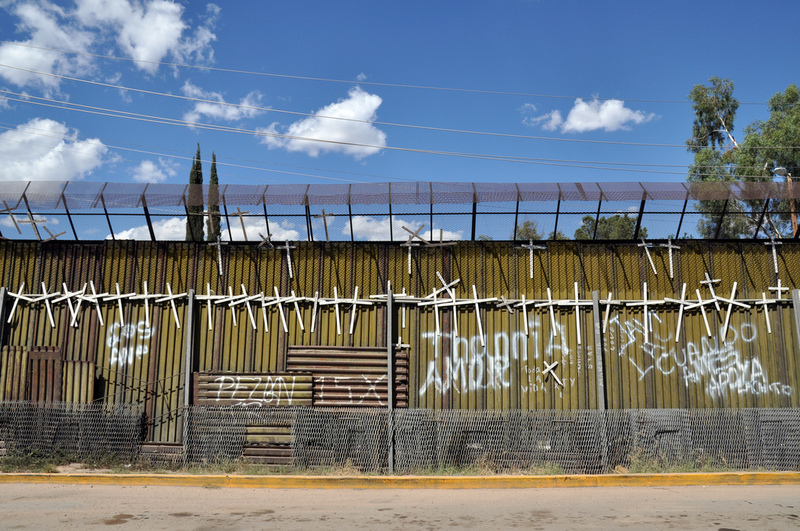 Statistical data show that Latinos have undergone the greatest number of deportations for the sake of America’s “War on Terror.”After the Oklahoma City bombing in 1996, Congress enacted the Anti-Terrorism and Effective Death Penalty Act along with the Immigration Reform and Immigrant Responsibility Act to respond to 21st-century concerns of insecurity and fear with the advent of globalization. Prior to the mid-1990s, deportations did not exceed 50,000. However, with the passage of the 1996 legislation, deportations increased to 200,000. Rates of arrests, detainment and deportation increased exponentially after Congress passed the Patriot Act in 2001 in reaction to 9/11. This measure, known for increasing Muslim surveillance and feeding the flames of anti-Muslim sentiment, was aimed at further strengthening border security. Under this law, Congress authorized the arrest, imprisonment and deportation of non-citizens without judiciary review. As a consequence, deportations rose to 400,000, and Latinos, caught in the waves of Islamophobia, comprised almost 72% of deportation cases. This was despite there being zero reported cases of people crossing the U.S.-Mexico border to carry out terrorist activity on American soil. In 2014, Republican congressmen — including Ted Cruz, Jeff Duncan and John McCain — warned that ISIS was planning to infiltrate the U.S. through its “porous” southern borders. The Department of Homeland Security and FBI have refuted these claims, stating that they have no basis. Yet, the U.S.-Mexico border, which was once viewed as the place to stop drug-trafficking and undocumented migration, remains caught in the military-industrial complex that characterizes all migrants as potential threats. Language such as “porous borders” and “Trojan horse” paint scary images that allow for continued public support of devastating immigration policies on the basis of security. The Obama administration’s immigration platform has been equally, if not more, aggressive than under George W. Bush. During his presidency, Obama expanded immigration programs racially profiling Latinos and deported more than 2.5 million people, which was a 23% increase from Bush’s tenure. With Trump in power, we are already seeing these policies build upon one another and intensify. We first saw this with the Muslim ban, which drew on a list of seven Muslim-majority countries that Obama identified as at-risk and ineligible for visa-waiver privileges. We continue to see this with ICE raids across the country and poorly thought-out plans to build a wall on the southern border. Since the federal appeals court ruled against Trump’s “Muslim ban,” Muslims have retreated into silence, having met a victory. In the meantime, authorities have arrested and detained hundreds of immigrants in at least six states, undoubtedly hitting the Latino community hardest. Latinos, swept up in the wave of Islamophobia, have endured far-reaching costs that continue to be ignored during a time when authorities are cracking down on undocumented immigrants. With anxieties and fear at an all-time high, the Latino community needs to know Muslims stand behind them and are committed to safeguarding their dignity and rights. Reimagining the boundaries of Islamophobia and Muslim activism to incorporate the post-9/11 Latino struggle will allow us to collectively push back against Trump’s hate-mongering “America first” nationalism. 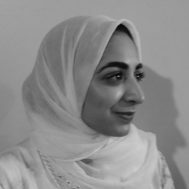 Hina Tai is the Associate Director of Research at The Islamic Monthly.